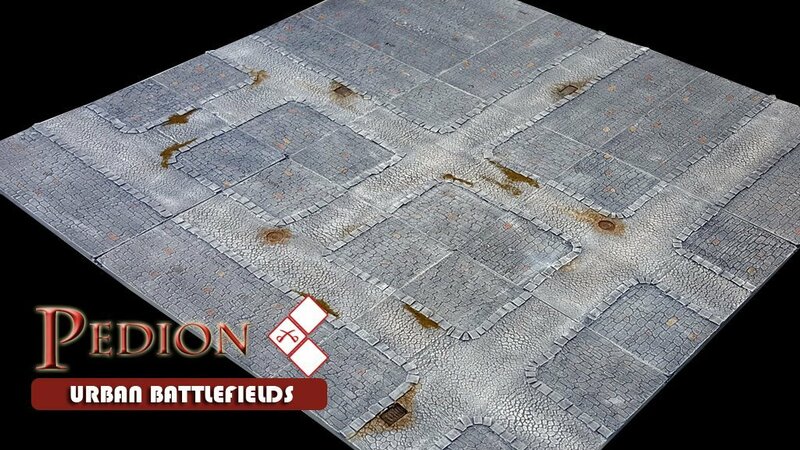 You may pre-order the Pedion "Town" 3'x3' Urban Battlefield Set; this is the equivalent of the same Kickstarter Reward level. Available in all three Themes. Reward includes a bonus "dead-end" addon and a choice between a free stone wall, stone steps or a magnetic accessory. Please keep in mind that when you order the Wider Roads option, you will be receiving a different variant of the 3'x3' Sets. The 3'x3' Set (Town) Wide Road Variant consists of: 4 Straight Roads, 1 "T" junction, 1 "X" junction and 3 Open Space tiles. Great set for skirmish wargames, Frostgrave campaigns, RPGs, Malifaux or to expand your existing Pedion board. Shipping costs will be calculated and charged in the Pledge Manager.